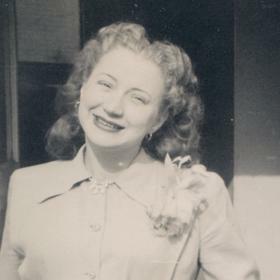 Mrs. Jean Louise Siplon, age 92, passed away Friday, March 30, 2018 in Dalton, Georgia. She was born in Muskegon, Michigan on January 1, 1926 to Charles & Charlotta (Johansson) Edlund and married Arthur Siplon, Jr. on January 2, 1947. Mrs. Siplon had been employed at SD Warren Paper Mill, Arthur Murray Dance School and Kinnelon Spa before becoming a loving wife and mother. 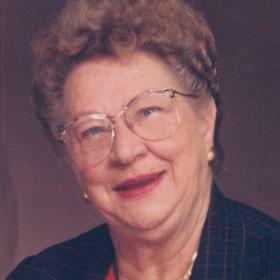 Jean was a member of Samuel Lutheran Church and volunteered for Meals on Wheels. 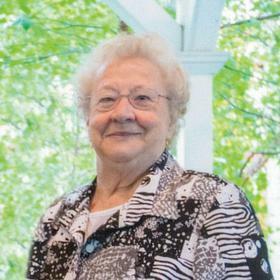 She enjoyed bowling, reading, crocheting, Cribbage and playing cards with friends and family. Children, Susan (Daniel) Rinaldi, Sena (Paul) Fostvedt, Sean Siplon, Sally (Steve) Knox; 8 grandchildren; 4 great grandchildren; sisters-in-law, Hazel Edlund, Dorothy (Richard) Johnson; brothers-in-law, Donald (Corine) Siplon, Robert (Linda) Siplon; many nieces & nephews. She was preceded in death by her parents; Husband, Arthur in 2004; 5 brothers & 4 sisters. Saturday, April 7, 2018, 1:00 pm at the Clock Chapel - Muskegon with Rev. David Seebald officiating. Interment in Restlawn Cemetery. Saturday, 11:00 am to 1:00 pm at the Clock Chapel - Muskegon. MEMORIAL: Doctors Without Borders.